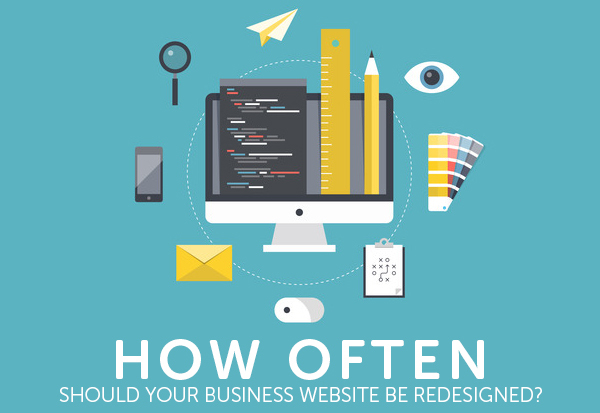 How Often Should Your Business Website be Redesigned? out the banner on the home page. Often, we see businesses go years without modifying their site because "most of the information is still current". It is important to have your business website updated and to keep the content fresh. People will assume you are either not in business anymore or that you don't value your web presence. In that case, they will probably look elsewhere for a company to do business with. Believe it or not, your customers make trust judgments about your company within 15 seconds of visiting your website. If your company has an old and outdated website, some people will question if they want to do business with you. Online consensus seems to say a website should be redesigned at least every three years. This comes from a perspective that waiting any longer could mean a competitor getting a leg up on web design techniques you don't have. With technology changing on a constant basis and new web design techniques being implemented seemingly every month, you may have to redesign even sooner to keep your site looking fresh. Just in the last couple of years, techniques like parallax scrolling (a 3D-like screen process) and more sophisticated animation techniques have popped up. They can add so many dimensions to your site that visitors could keep hanging around for an hour or more. Your business changes a lot in a year's time. 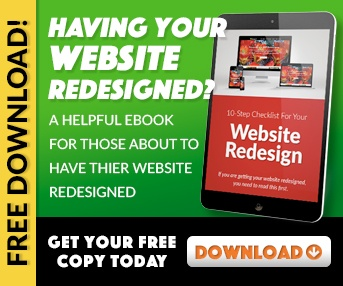 Often your website does not reflect those changes. Maybe you have gone through some staff changes at your business which are not reflected on your website. Perhaps you have made some changes to the products or services you offer. Maybe you are offering more services, or are trying to streamline your system and are offering less. Your website should give your customers an accurate picture of your business and not just an overview. Another reason for deciding whether you need a redesign: Look at the metrics in how people are reacting and see what that tells you. Using analytic tools, you can check to see how customers are reacting to the current design you have. Are they leaving in a hurry and creating tremendous bounce rates on your site? 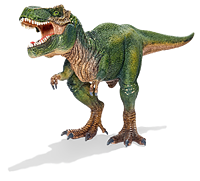 Do those visitors click the links you want them to click? This lack of conversion of visitors into paying customers is probably due to your layout not being compelling enough to incite anyone to stick around. First impressions are everything, and any steep decline in web traffic is a huge red flag for you to do something quickly. One good reason to redesign is to create either a stand-alone mobile version of your site or one coded with responsive or adaptive design. With the latter two choices becoming much more efficient, getting your site ready for mobile browsing will help you get ahead of the game and perhaps delay an entire site redesign. Check your competitors' websites to see what they're doing. You can respond by doing the same or find something that looks even better. We can help you achieve all of that here at EnvisionIT Solutions. We have a web and graphic design team, plus provide outsourced IT support. So once we have your site up and running, we'll maintain it for you to ensure you'll never have a site crash or other issues.